Without further ado, let’s see 5 of the best wireless HTPC keyboard options currently available in the market, taking into account their unique characteristics, as well as their price and popularity. They are reflected in this article following no particular order. 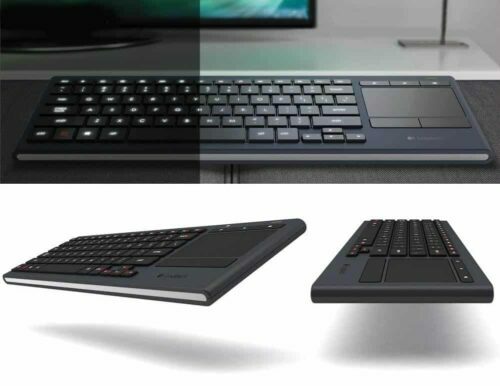 You can type with your thumbs using the iPazzPort KP-810-21P mini wireless keyboard. 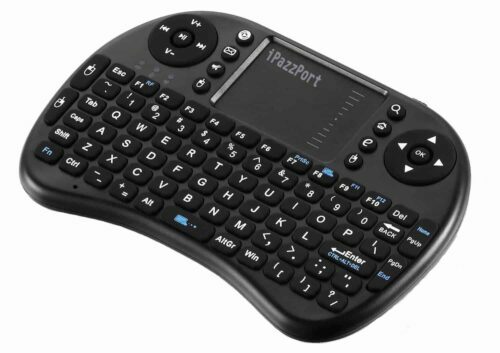 A keyboard for HTPC which also exhibits a useful trackpad, the iPazzPort KP-810-21P is a device that gets the job done. An easy install; just plug in the USB receiver in your device, and then turn on the keyboard. For easy storage, you can stash away the USB receiver in the battery compartment. The trackpad works with enough precision, and the right and left click are controlled via two dedicated buttons. With a responsive keyboard and a good feel, this device enables you to type fast enough using your thumbs as you hold it. This wireless HTPC keyboard mouse is, overall, a good option to control your HTPC setup, while also being a neat gadget that is sure to catch the attention of your visitors. The HTPC wireless keyboard Logitech K400 features a large trackpad. The Aerb 2.4G Mini is an excellent wireless media center keyboard with air mouse capabilities. So you cannot decide whether to count on the ease of use of a remote or the flexibility and possibilities of a keyboard? Do you also hate trackpads? No problem! 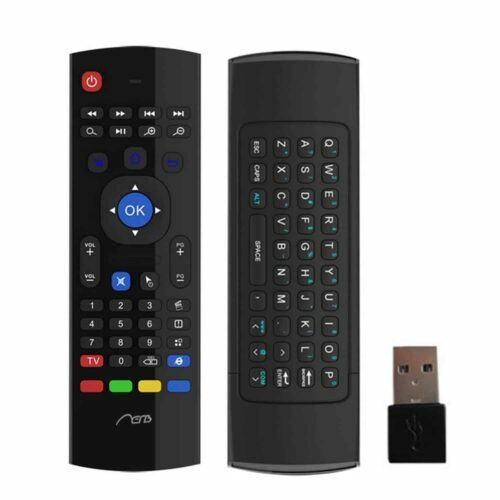 Enter the Aerb 2.4G Mini – Best HTPC Keyboard, an aesthetically pleasing remote with a wireless USB receiver, which also has some IR functions. For all practical purposes, said IR capabilities are not very useful, however, where this device does shine is in its air mouse features. With 3 gyroscopes and 3 accelerometers, you can move the remote in mid-air to point at things accurately and precisely. If you need to enter text, you just flip the device. Compatibility is a bit awkward at times, because some buttons work with one device and might not work with another, however, this is due to the air mouse being compatible with a wide variety of hardware. This wireless keyboard and mouse combo offers a nice feel on its keys, and is powered by two AAA batteries. 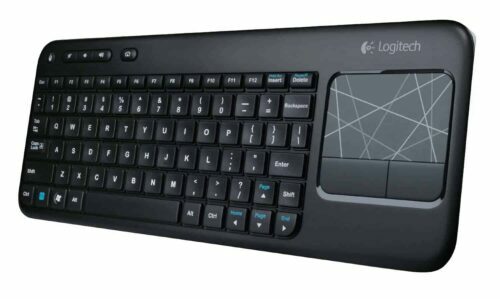 The Logitech K830 wireless HTPC keyboard features an useful backlight. The FAVI FE02RF-BL is an HTPC wireless keyboard with a laser pointer. If you are considering buying the best wireless HTPC keyboard in 2015, you will be faced with a ton of options. Most of these offer a wide compatibility, because of the inclusion of USB receivers; however, the device you choose will ultimately depend on your needs, the HTPC setup you have, and the bonus features you want. With options in reach of all budgets, and features to appeal most tastes, there are surely some great wireless HTPC keyboard option for you.